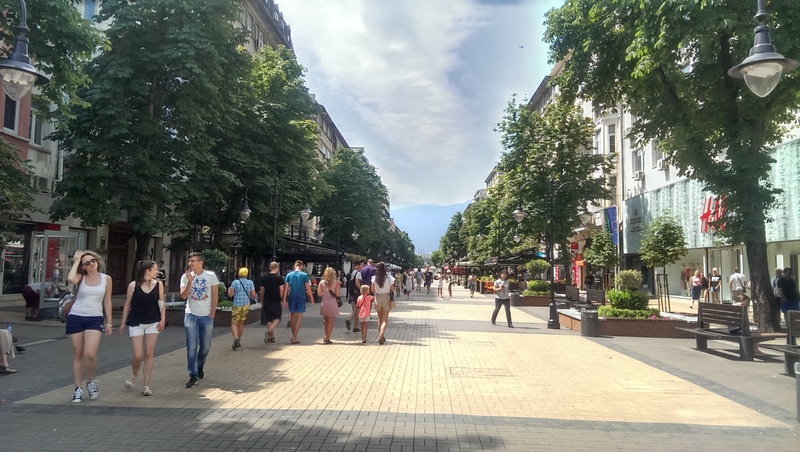 Vitosha Boulevard is the main commercial street in the centre of Sofia, which is abundant in posh stores, restaurants and bars. 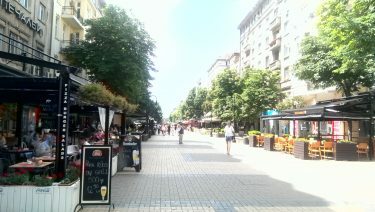 Vitosha Boulevard extends from the St Nedelya Square to the Southern Park. 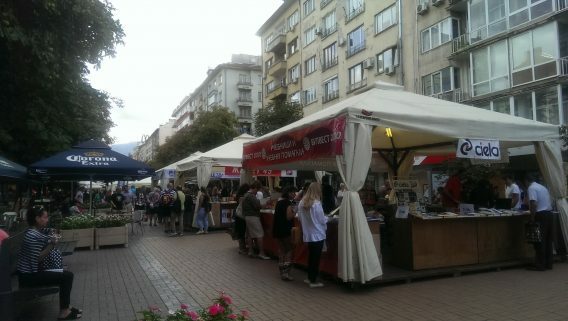 Many high-end fashion labels have outlets on Vitosha boulevard and the neighbouring streets. 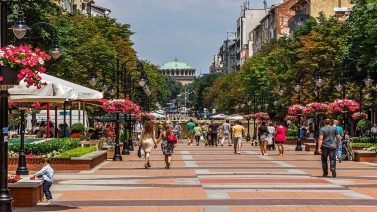 Among the notable buildings, located on the boulevard are: The National Palace of Culture, The Palace of the Courts. The corner of Vitosha and Patriarch Eftimii boulevards, so called the Pharmacy , is a popular place for meetings. 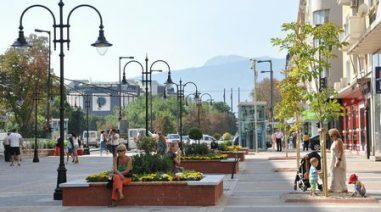 The boulevard is named after Vitosha, the mountain just next to Sofia. 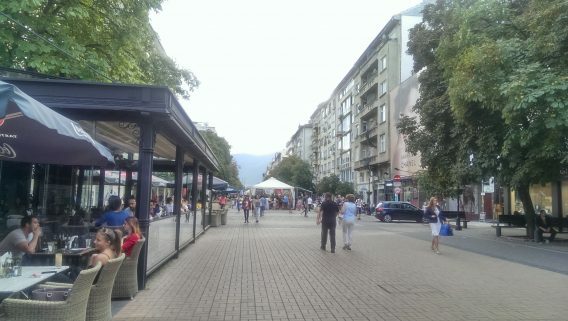 It was an unadjusted street during the Ottoman rule of Bulgaria and acquired the name Vitoshka ulitsa (“Vitosha Street”) after the Liberation, in 1883. The street was initially built up with low one-storey houses, but turned into an imposing trade street in the Interwar period as massive public buildings were constructed, changing Vitoshka’s appearance completely. In March 2013, reconstruction works on the boulevard have started. In the summer of 2015 there was another renovation of the boulevard completing the entirely pedestrian zone of the boulevard between Patriarh Evtimii Blvd. 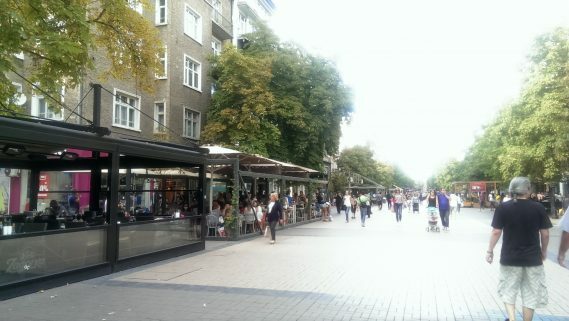 and Alabin Str. You can also read about Eagle’s bridge.